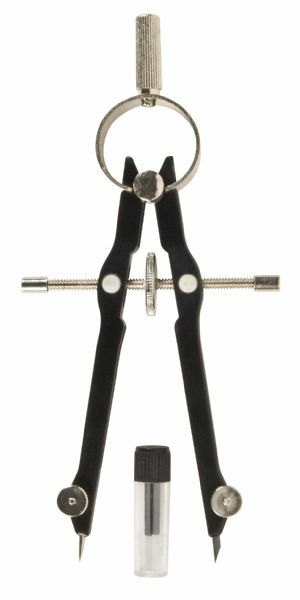 All metal compass features extra pivot point for use as a divider. * Creates circles up to 8" in diameter. * Includes replacement needle and lead. The circle diameter max is 8". 7" x 3" x 0.25"